Voting starts today – Monday 17 March 2014 – for six nature conservation projects shortlisted by the European Outdoor Conservation Association (EOCA). 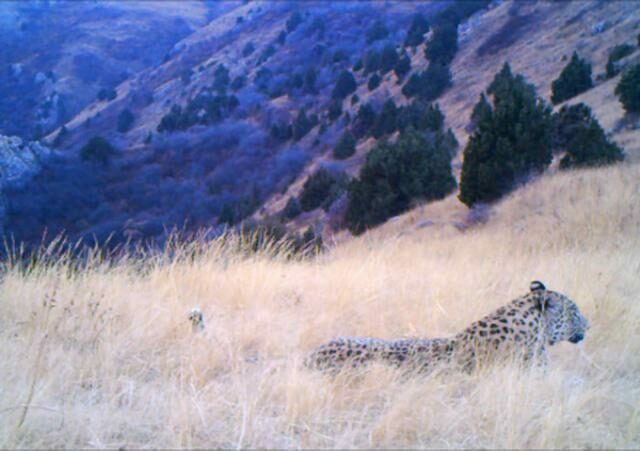 Among them is an initiative put forward by World Land Trust (WLT): Saving Armenia’s Leopard. If enough people back WLT’s Saving Armenia’s Leopard project, it will win a grant of €30,000. The funds will support vital conservation measures for the Caucasian Leopard in Armenia – and every vote counts. To celebrate the Caucasian Leopard and to highlight the EOCA vote, WLT has created a short film about the remarkable unfolding of the story of the Caucasian Leopard in Armenia. Until just a few years ago, the future for the Caucasian Leopard looked bleak. This sub species of leopard is registered as Endangered on the IUCN Red List and has a total population of no more than 1,300. The Caucasian Leopard stronghold is in Iran, where it is known as the Persian Leopard, but in Armenia there may be as few as 15 individuals remaining. There hadn’t been a sighting in Armenia since 2007. 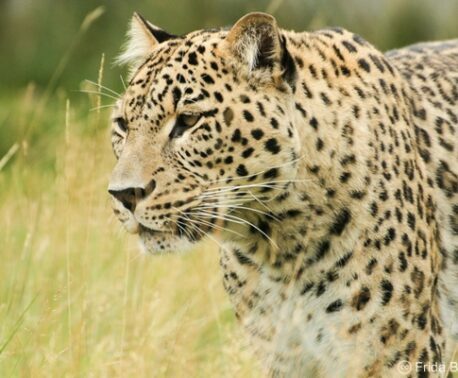 But, undeterred, in 2010 the Foundation for the Preservation of Wildlife and Cultural Assets (FPWC) raised funds to establish the Caucasus Wildlife Refuge (CWR) and to implement robust measures to protect the Caucasian Leopard and its habitat. 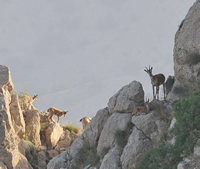 Conservation efforts have increased the number of Bezoar Goats, which are vital leopard prey. © FPWC. WLT has supported FPWC’s conservation measures since 2010 and within a few years it was clear that FPWC’s efforts had been worthwhile. 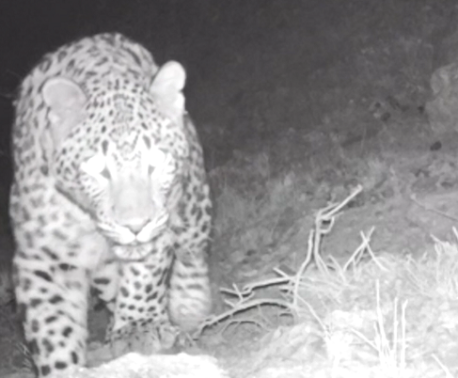 On three occasions in 2013, camera-traps recorded a leopard in the Caucasus Wildlife Refuge. The video recordings attracted international attention, and rightly so, because the Caucasian Leopard is an important symbol both nationally in Armenia and internationally. The species must not be allowed to die out. Journalist and WLT Council Member Simon Barnes is a fan of what he calls the Euro-leopard. Yes, they are there to save if we want them, so please cast your vote for Saving Armenia’s Leopard. People can only register one vote, so please encourage your friends, family and colleagues to vote as well. Voting starts on Monday 17 March 2014 and ends on Monday 31 March 2014. Click the Vote Now button and you will be directed to the voting page of the EOCA website. 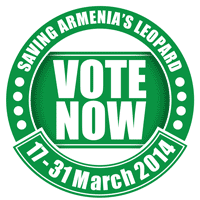 Scroll down through the list of projects to find Saving Armenia’s Leopard – and then vote! The Caucasian Leopard needs your vote. © Misad / dreamstime.com. WLT has been supporting FPWC’s conservation protection measures in Armenia since 2010. WLT has provided Keepers of the Wild funding for the employment of rangers in the Caucasus Wildlife Refuge since 2011. The rangers monitor wildlife, deter poachers and raise awareness and support for conservation activities among local communities. 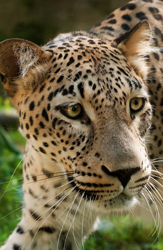 Since late 2012 WLT has been running a special appeal for additional funds to Save the Caucasian Leopard.